I resisted Instagram for several years but, in an attempt to get better at mobile photography, I started using it last summer. I'm such a convert. 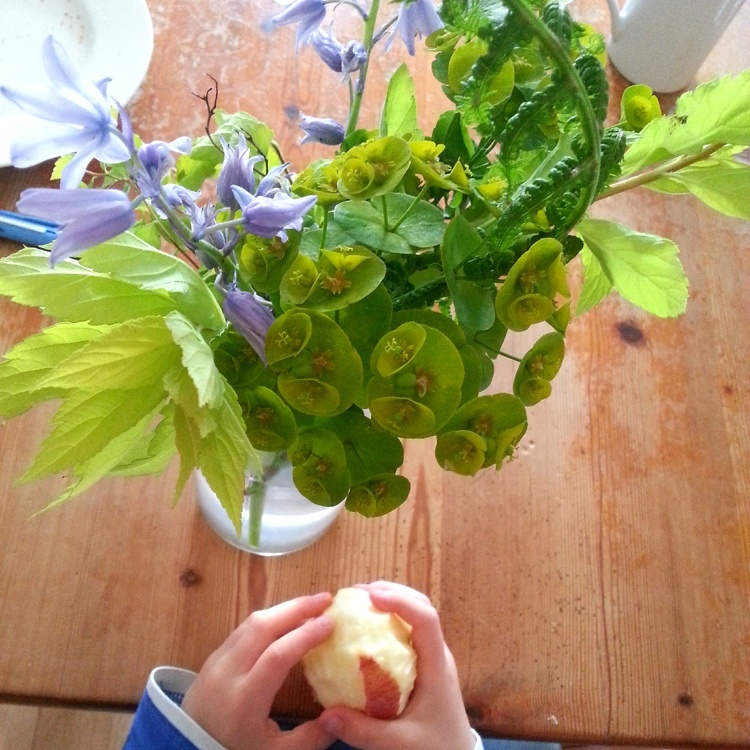 The photo (below) I took of my Thursday Breaktime won a spot in Little Maldod's #mythursdaybreaktime roundup a fortnight ago. And I like to think I'm the sort of person unaffected by popularity or awards of any sort, but it turns out I am. It put a skip in my little heart that day. I also published this picture of our winning May Queen window on Instagram. Our village has the longest lasting uninterrupted May Queen procession in the country (since 1928), and each year we enter the 'best dressed residential window' competition. Last year's won second prize, which was nice but didn't seem to affect me. 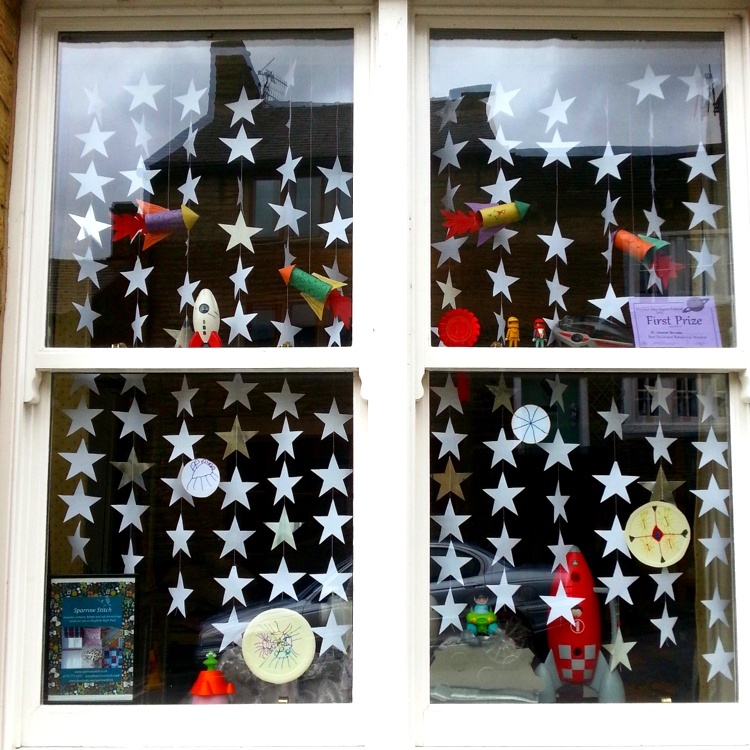 This year's, on a space theme and featuring my sewn star garlands and the boys' homemade rockets, alien pictures and various space toys, won first prize. And again, to my surprise, I felt a swagger in my step. As a child I needed validation and as an adult I once turned my nose up against it. But it turns out that need is still there. I'm working on some cushion covers for a competition, and it's my opportunity -although through random chance - to give someone else the feeling of winning. But I know, deep within, that it's also designed to validate me too - exposure, the number of people entering, eyeballs on this blog or my business site - all these things will be totted up in my head. Is this a bad thing? I'm not sure it is. As a writer, lovely though it is to write just for yourself, you have a symbiotic relationship with your reader. Can you really be a writer without a reader, or are you just a literary version of Schrodinger's cat? 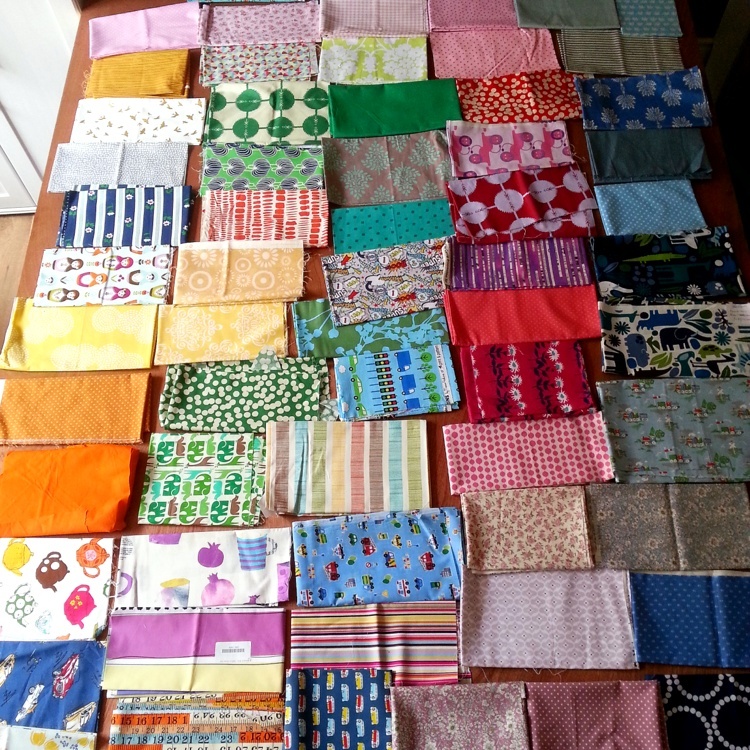 And as someone who sews for business, I do not exist without customers, and satisfied ones at that. I think it's possible to seek validation without decrying it as vanity, because it's an independent judgment of the value of your work, of the strength of the effort you've gone to and the result you've toiled for. And I can't deny that on a very basic human level, hearing someone else tell you that what you're doing is good, lovely, liked - or whatever - feels good. And I originally planned this post as a quick one to let you know I can't actually take any photos at the moment as my phone's broken! Oh you are so so spot on about the validation thing. I think we humans are hard wired to seek it. Especially when it comes to things we spend a long time doing with no other reward. So a big cheer for you! Ooo, this is an odd one. I love Instagram and it really is lovely if someone else likes my photos or leaves a sweet comment. But I think, if you're creative like you are, it's also a huge bank of ideas and creativity and inspiration. Through Instagram and blogging, I've found a whole creative side of me that I never even knew existed. Every time I see pretty pictures or read a fantastic post, I'm inspired to go out and do something fantastic for myself. For me, it's less about validation but more about a wonderful like-minded community. Maybe that's what you're feeling too?